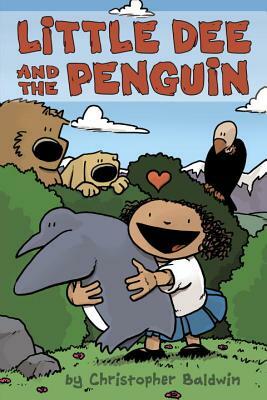 When Little Dee meets a motley crew of animals deep in the forest, she knows she's found the perfect set of new friends. Between the bossy vulture, the slightly dim dog, the nurturing bear, and the happy-go-lucky penguin, this mismatched group of big personalities doesn't always get along -- but they're a family. And they're on the run. A pair of hungry polar bears are after the penguin, and the rest of the team are determined to protect her. They're not interested in adopting a tiny human. But Dee loves them -- especially Ted the bear -- and she won't let them go. Instead, she hops on their getaway plane and joins them on an around-the-world adventure.